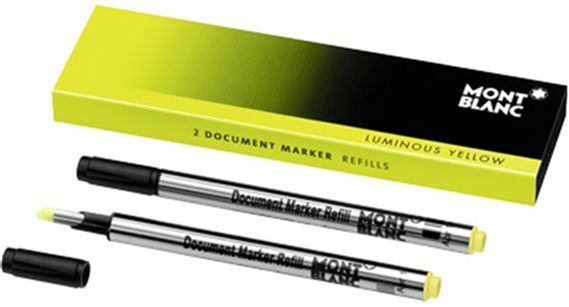 Order your Montblanc Document Marker Refill 2 Pack today from FahrneysPens.com. Fine Pens, Refills & Luxurious Gifts – great prices & fast shipping. The Montblanc Document Marker refill is designed for the Montblanc Meisterstuck Le Grand Document Marker. Whether you select green or yellow refills, know you are getting a quality Montblanc product that prevents smudging and fading. No matter what your style is, we will keep you in good supply!